The Timmins Family Health Team is an interdisciplinary team of local family physicians, nurse practitioners and health care professionals working collaboratively to provide comprehensive primary health care services to their patients. Depending on the purpose of your visit, you may be seen by a physician, a nurse practitioner or another health care provider. Your direct primary care provider may be a family physician or a nurse practitioner. Family physicians provide comprehensive health care to people of all ages. Family medicine is a form of primary care that provides continuing, comprehensive health care for the individual and family across all ages, sexes, diseases and parts of the human body. Our physicians deliver a range of acute, chronic and preventive medical care services that emphasizes health promotion and disease prevention. In addition to diagnosing and treating illness, our physicians also provide preventive care, including routine checkups, health-risk assessments, immunization and screening tests, and personalized counseling on maintaining a healthy lifestyle. Our family physicians work collaboratively with other members of our health team to provide you with comprehensive care. A Nurse Practitioner (NP) is a nurse with advanced university education who works both independently and in collaboration with other health professionals to provide you with quality health care services. NPs take care of the physical, emotional, mental and social aspects of their patients’ health needs. Nurse Practitioners in primary health care (NP-PHC) have additional education and advanced decision-making skills in the assessment and diagnosis of acute illnesses and injuries and in the management of chronic illnesses such as diabetes and hypertension. They have the knowledge and authority to prescribe certain medications. They are authorized to order laboratory tests, x-rays and other diagnostic tests. They may also refer to other health professionals. NPs help keep their patients, patients’ family and community well. NPs provide care to individuals of all ages and focus on preventing disease and promoting health and well-being. 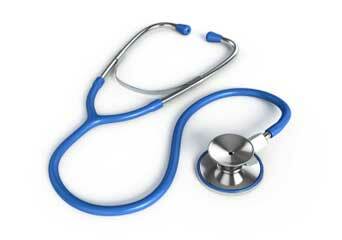 Different providers on our team are able to provider different kinds of health services. If you are interested in accessing a specific service from a member of our team please bring it to the attention of your primary care provider. Our clinics have medical secretaries/receptionists and a clinic manager who support the efficient functioning of our clinics ensuring that health care providers can focus on providing patient care.